A round, incredibly strong, abrasion resistant line with minimal stretch that drives hooks deep! 6 lb.8 lb.10 lb.15 lb.20 lb.30 lb. tuf-line-4orce-braided-fishing-line-green-125-yd-6-lb-30-lb 4ORCE Braided Fishing Line 125 yd. 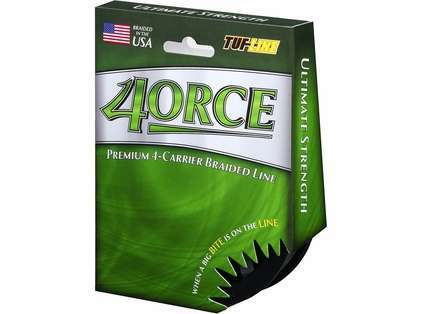 tuf-line-4orce-braided-fishing-line-green-125-yd-40-lb-65-lb 4ORCE Braided Fishing Line 125 yd. tuf-line-4orce-braided-fishing-line-green-300-yd-6-lb-30-lb 4ORCE Braided Fishing Line 300 yd. tuf-line-4orce-braided-fishing-line-green-300-yd-40-lb-65-lb 4ORCE Braided Fishing Line 300 yd. tuf-line-4orce-braided-fishing-line-green-2500-yd-6-lb-30-lb 4ORCE Braided Fishing Line 2,500 yd. tuf-line-4orce-braided-fishing-line-green-2500-yd-40-lb-65-lb 4ORCE Braided Fishing Line 2,500 yd. tuf-line-4orce-braided-fishing-line-yellow-125-yd-6-lb-30-lb 4ORCE Braided Fishing Line 125 yd. 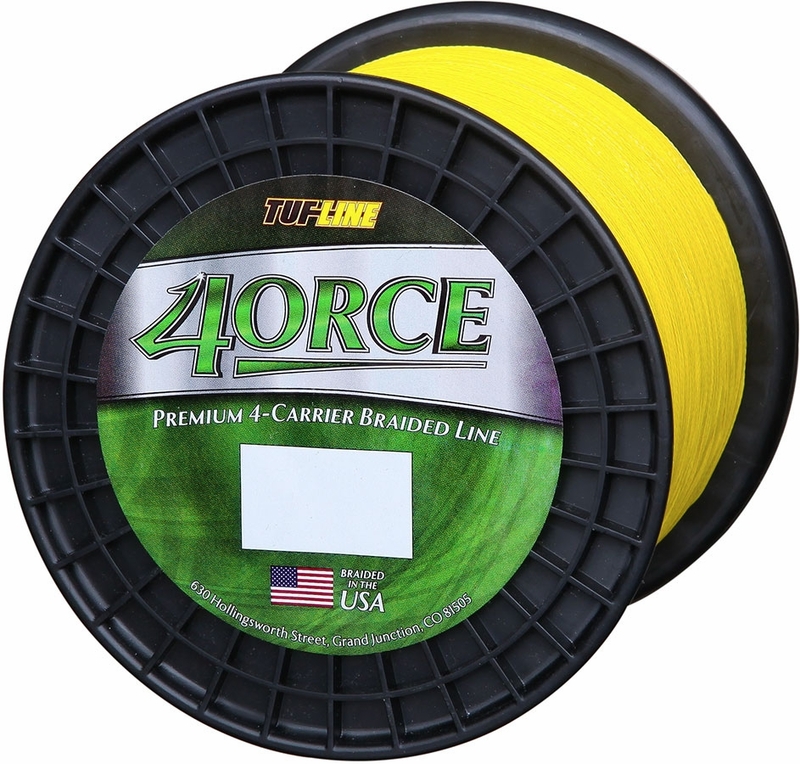 tuf-line-4orce-braided-fishing-line-yellow-125-yd-40-lb-65-lb 4ORCE Braided Fishing Line 125 yd. tuf-line-4orce-braided-fishing-line-yellow-300-yd-6-lb-30-lb 4ORCE Braided Fishing Line 300 yd. tuf-line-4orce-braided-fishing-line-yellow-300-yd-40-lb-65-lb 4ORCE Braided Fishing Line 300 yd. tuf-line-4orce-braided-fishing-line-yellow-2500-yd-6-lb-30-lb 4ORCE Braided Fishing Line 2,500 yd. tuf-line-4orce-braided-fishing-line-yellow-2500-yd-40-lb-65-lb 4ORCE Braided Fishing Line 2,500 yd. 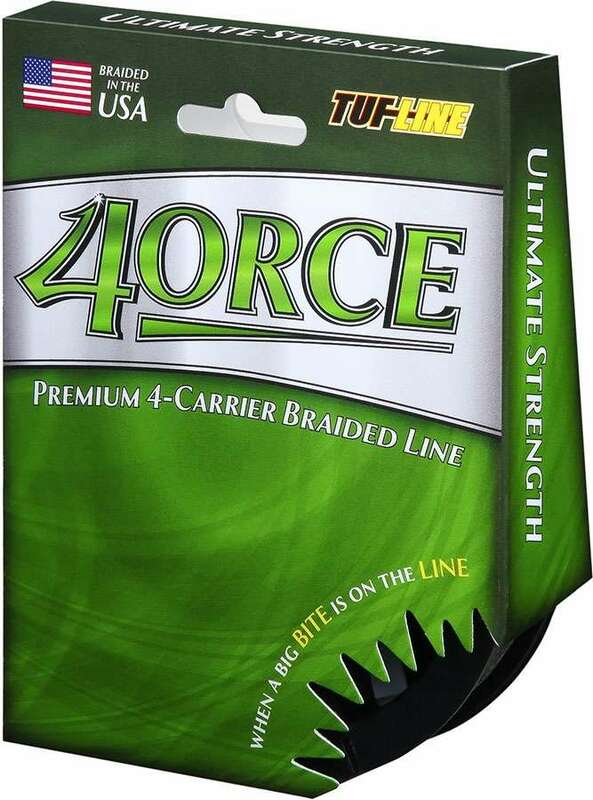 Tuf-Line 4ORCE Braided Fishing Line takes power fishing to a new level. 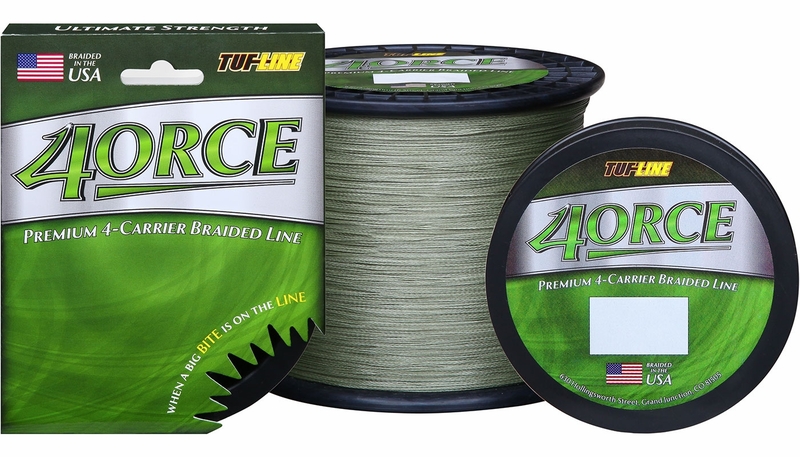 Utilizing the revolutionary TUF-X fiber, this premium 4-carrier braid delivers ultimate strength: a round, incredibly strong, abrasion resistant line with minimal stretch that drives hooks deep. Tuf-Line's proprietary coating process provides longevity, toughness, and a more permanent coloration of the line. Whether you�re looking for brute strength or fishing heavy cover, 4ORCE Braided Fishing Line is the ultimate salt and fresh water braid. Much better than the original turbine brand which kinked and peeled. This is nice and round and very thin diameter for the weight. Very happy with the tying quality and have not had any wind knots yet out in the Florida Bay in Jan 2019! Great product. 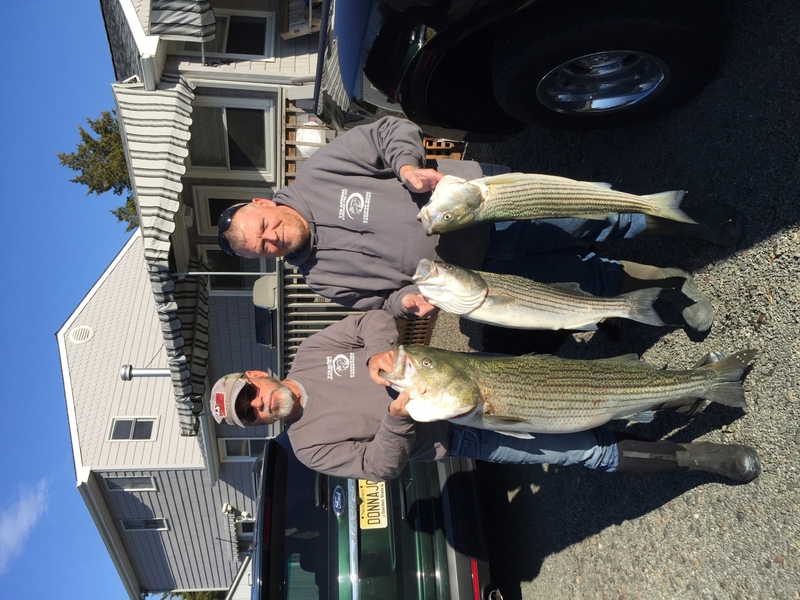 I am confident to use this braided line for all my fall striper fishing off the NJ coast. Never had a line failure even when landing 40 + lb fish. I got this braid in 30 lb and it is absolutely great! It is very similar to powerpro, and is just as thin and has the same texture, it also doesn't lose color so it is not like spiderwire braid that color goes out quickly, yet, it is more like powerpro in terms of diameter, color, and texture. This braid is great and definitely recommend it. For bottom fishing such as halibut and lingcod, would 4orce be better than Domin8?